Reinforced Sole: Reinforcement throughout the sole, light density padding on the soles provide protection against common foot problems. 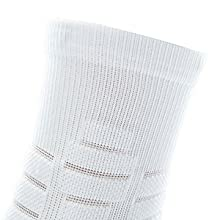 Graduate gentle compression: Strategically managed compression reduces foot swelling and injuries. Breathable and Odor-resistant: The fabrics have a certain breathability and odor control to keep socks dry and fresh. Durability: Toes with seamless design add durability for longer wear no matter how tough the conditions. Application: Daily wear; Most of the outdoor sports, Running, Climbing, Mountaineering, Cycling, general workouts and other winter sports; the Fantastic gift for your friends and family. 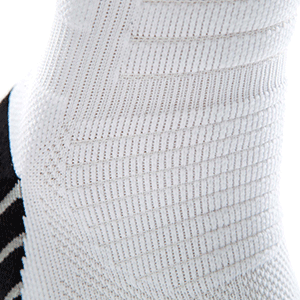 Wantdo Cushion Boot Sock adds subtle support and obvious comfort to your next alpine trek. Designed with bamboo and acrylic blend, the Cushion Boot Sock quickly and effectively pulls moisture away from your skin to help prevent a wet, blister-conducive environment. These socks are not only comfortable, good looking, but extremely durable. Cold mornings getting down, you have no complaints of cold feet when you wear them. 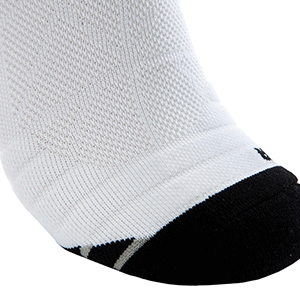 Strategically managed compression reduces foot swelling and injuries. With built-in arch support and ankle brace that keeps you stable. Seamless construction keeps chafing and blisters away. 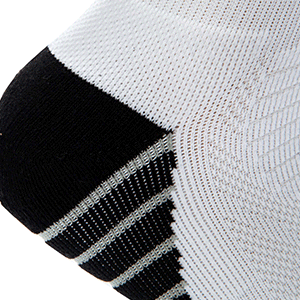 The fabrics have a certain breathability and keep socks dry and fresh.